Newborn 8 day old boy wrapped in blue with a blue knit hat in crate. Set on a white wood floor. 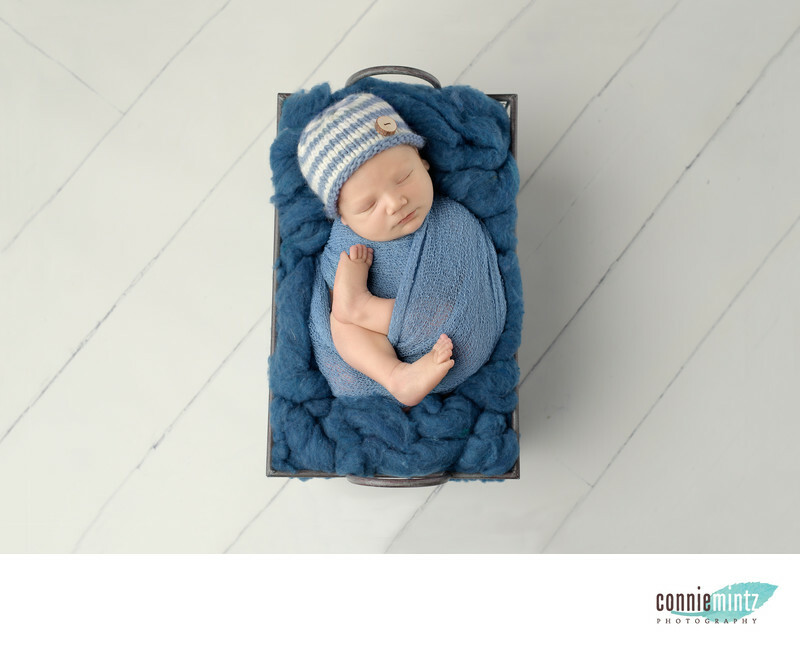 Image taken at Connie Mintz Photography Studio. The nursery is blue and white and this image hangs above the crib. 1/200; f/3.5; ISO 64; 50.0 mm.